£1,810 has been generously donated by parents to date. Thank you! Welcome to Ascot Heath Infant School. We hope that you will find our updated website helpful whether your child already attends our school or you are considering enrolling your child to join our 'Outstanding' school (OFSTED Inspection - May 2011). Our school stands at the heart of the community of North Ascot on the same site as Ascot Heath CE Junior School in Rhododendron Walk, North Ascot. We admit 60 children each year into our Early Years Foundation Unit and we currently have 186 pupils on roll. 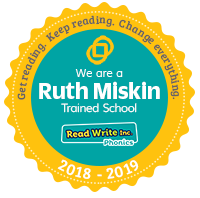 We believe that we offer an outstanding start to education for children from 4 to 7 years old; engaging and motivating children through imaginative and exciting learning whilst achieving high standards and supporting every child to achieve their best. Our children, parents, staff and governors are all proud of our school and of what we achieve together. One of our fundamental aims is to work in close partnership with our pupils, their parents and carers and our local community. We strive to ensure that all our children are happy in school, feel safe and secure and become confident individuals ready to move on to junior school at the end of Year 2. We recognise that in placing your child in our care, you expect the very best from us too and we will endeavour to ensure that your child flourishes whilst they are with us. Please come and visit our school if you are considering us as the school for your child, or if your child is already attending, please remember to always stay in close contact with us. One of the many strengths of the school is that children love coming here and that is how we want it to be.